While monitoring the behaviour of our Liberal government thus far in its tenure, a common theme unifies the assessment: democracy sure isn't what it used to be. Indeed, the concept of a government "for the people, by the people" has long since vanished from our political environment. Incrementally, in a most discreet manner, our nation has become an entity whereby the only remaining vestige of true democratic process is to be found in electoral democracy — the method by which our politicians are voted into office. Beyond this, the desires of the general public are very much on the back-burner. That is, unless you happen to be a new arrival to our country by way of Canada's immigration and refugee policies. How exactly did this inversion of government priorities come about? Why would government provide special, elevated status to new arrivals rather than long term, tax-paying Canadian-born citizens? One point we can state with confidence is that the general population of Canada did not ask for such a thing. Why would they, when the phenomenon is counter-productive to the well being of generational Canadians and their families? The answer, therefore, lies elsewhere. A good place to begin would be with what can today be referred to as the Trudeau "Dynasty." 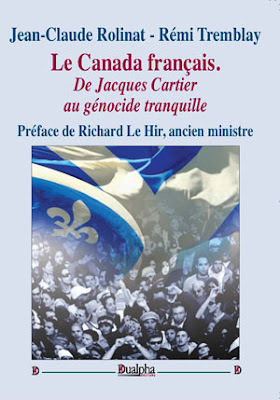 It was Pierre Trudeau, three term Liberal prime minister, who ushered in this social inversion with his single-handed proclamation that bi‑cultural English & French Canadian identity was finished. In its stead came multiculturalism — a legislated policy intent upon elevating the status of our "minority" communities. The piece Trudeau Sr. failed to consider was what would occur once these minorities were no longer minor. 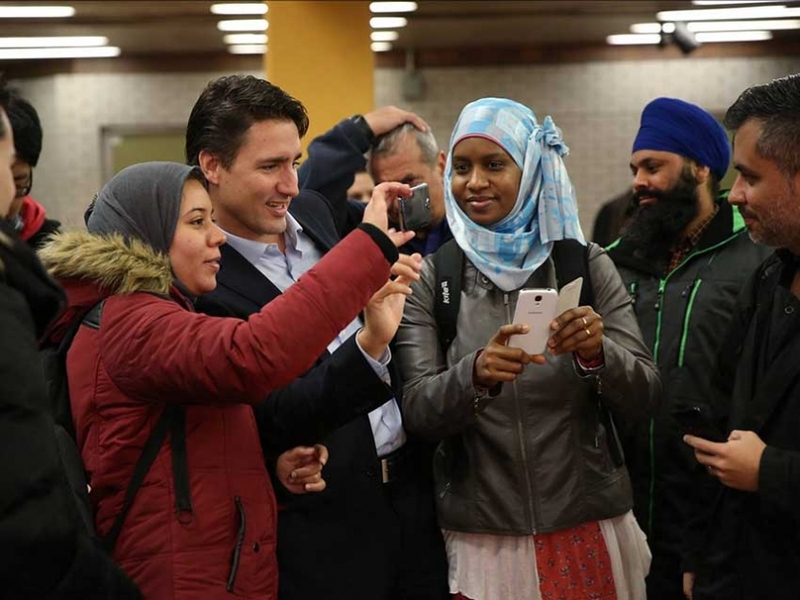 Today, under the auspices of son Justin Trudeau, Canadians are witnessing the impact of Trudeau's lack of foresight, as Statistics Canada informs us our Anglo-Canadian communities are headed for minority status within our major urban centres. Diversity is king. Multiculturalism is sacrosanct, and to question it — or heaven forbid oppose it — is blaspheme. A similar dynamic applies to immigration policy. No one understands why, as politically correct forces have deemed themselves above offering any logical explanation. In our day and age, it is amazing to witness the power of social media. You will recall that one tweet from Prime Minister Trudeau a few months ago stating all "refugees" impacted by Donald Trump's ban on immigration from seven Middle Eastern countries are welcome in Canada, and all pandemonium broke loose. Our border security has since been in jeopardy with tens of thousands of border-jumpers arriving in the Great White North to find a permanent home. Did the Canadian public — as in those who will foot the bill through their tax dollars — have a say in the matter? Was any form of public consent provided, or solicitation to see if Canadians are in favour of such generous hospitality? We all know the answer to this one. There was nothing — just as there was no approval or public consent for the cancellation of our national identity, or the advent of mass third world immigration. In a democracy, a government 'of the people, for the people' should govern for the greatest good of the greatest number. Public officials should resist creating policy to suit narrow special interests seeking a disproportionate benefit from government not in the interests of the broader public. Cue Justin Trudeau. Obviously, he was out-of-town — or more likely not even born — when this little tidbit was interjected into public consciousness. Basically, PM Trudeau does not adhere to this philosophy. Better yet, it is reasonable to state that both Justin, like his father before him, advances a political agenda antithetical to this fundamental of democracy. Should Canadians be surprised? Of course not, as the Trudeau Dynasty has cared little about democracy since Pierre took office in the 1960's. Rather, it was good friend Fidel Castro's socialist brand of leadership Trudeau Sr. most admired — with Chairman Mao's communist ideology running a close second. Back in March, the Liberal majority in the House of Commons voted to pass a motion to the government to condemn "Islamophobia" and other forms of racism. One problem among several is that the motion is devoid of an actual definition of Islamophobia. When one was requested, nothing was offered up. Such is the degree of privilege the Liberals and their minions have bestowed upon themselves. Freedom of speech is a fundamental of Canada's Charter of Rights and Freedoms. Yet, within Justin Trudeau's Canada, the concept is on the wane every bit as much as democracy itself is infringed upon. The irony of the situation is inescapable. Inexplicably, M103 contains not a word regarding Sharia Law, an Islamic doctrine which outlines all aspects of social behaviour for devout Muslims. Contained within are modes of behaviour which explicitly violate the Charter — yet not a single reference to this fact has been included in government or media narrative regarding M103. It is abundantly clear the fundamentals of democratic process are being eroded before our very eyes — yet no one lifts a finger to stop it. Why? There is one simple answer, and that is the fear of an accusation of racism, bigotry and xenophobia. Indeed, these are the properties now controlling the destiny of our nation. In a most subtle fashion — in order that the general public do not catch wind — our government has brought into being a form of pseudo-socialist governance unprecedented in the history of our nation. In the meantime Canadians...watch Hockey Night in Canada.